WORD?! Batman / Superman News ? Possible Spoilers. This week a Reddit user claimed to have seen the new Batman / Superman movie claiming it “was good” – Bleedingcool did a write up with spoilers. One thing Bleedingcool didn’t talk about was the rumoured inclusion of the Justice League. This wouldn’t be a big surprise for the Justice League to arrive in the upcoming Batman / Superman film as Wonder Woman and Aquaman are very prevalent in both the films trailer and films advertised merchandise. This isn’t confirmed – the Reddit poster could be making this entire thing up however the Justice League news seems to be moving some books. (The Original Post can be found here) – This suggests that during a third act sequence the Justice League assembles, including Cyborg – the more recent DC New 52 Justice League Addition. This report does give more credibility to the reports that the Batman / Superman film was building a way for a Justice League DC Film Universe. However, these reports are more rumour than fact at the moment. 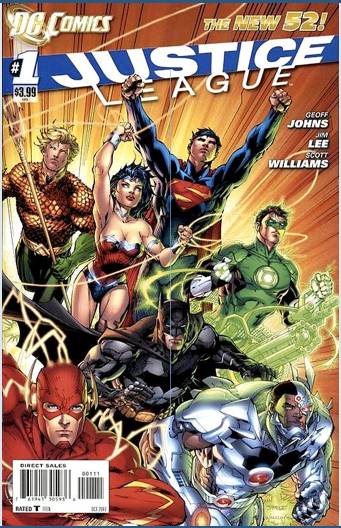 Right now the book to be looking for that will be getting a generous bump in price is 2011 DC new 52’s Justice League #1, with the harder to find, larger ratio variants being more in demand. These are the books to be holding onto as further news develops in the DC cinematic universe. More Batman / Superman film spoilers from this Reddit leak can be found on this Screenrant Article.